Zoe is cute. 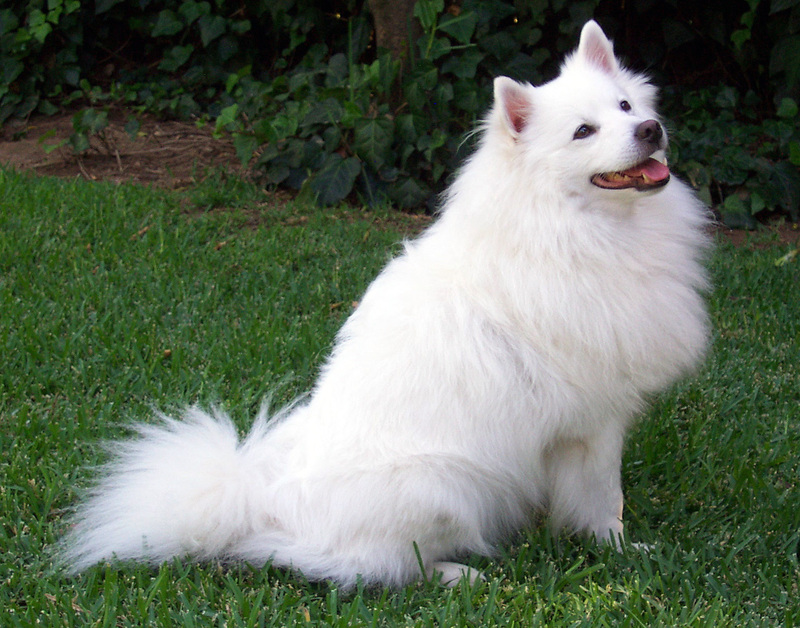 She’s an American Eskimo Dog, rescued from the pound roughly twelve years ago. She’s ALWAYS cute. Something magical happens, however, when the baby carrots come out of the fridge each morning: She turns chibi. Kawaii. SQUEE! So, this is for you, Zoe. SQUEE! This entry was posted in Animals, Art, drawing, Humor and tagged adorable, american eskimo dog, animals, cartoon, chibi, comic, cute, dog, Drawing, Humor, Pets, squee. Bookmark the permalink. 2 Responses to How does she do that? Love the picture!! Our much loved Eskie, Nick, passed away earlier this year. We have an Eskie puppy now. I adore my Zoe. She’s really a great dog – smartest I’ve ever had, and I’m a little sad that I missed her super-duper adorable puppy phase. When people see her, they ask about getting an Eskie. I generally tend to discourage them, though, because the breed really isn’t for everybody. After all, not all people want profusely shedding, hyper-alert barkers.